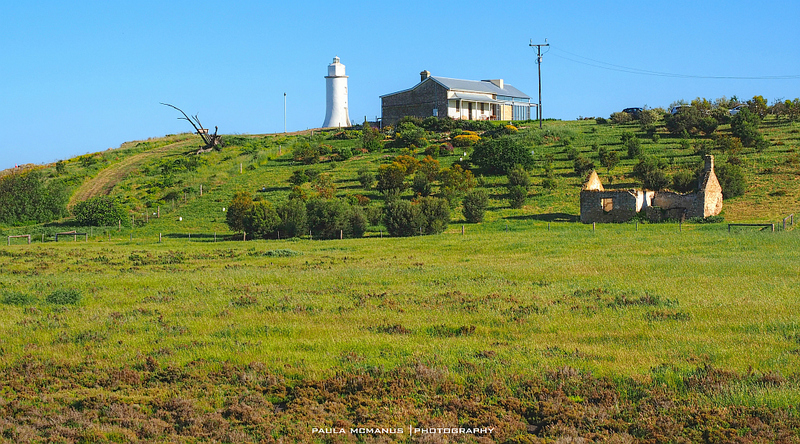 Point Malcolm Lighthouse is the southern hemisphere's only inland lighthouse. 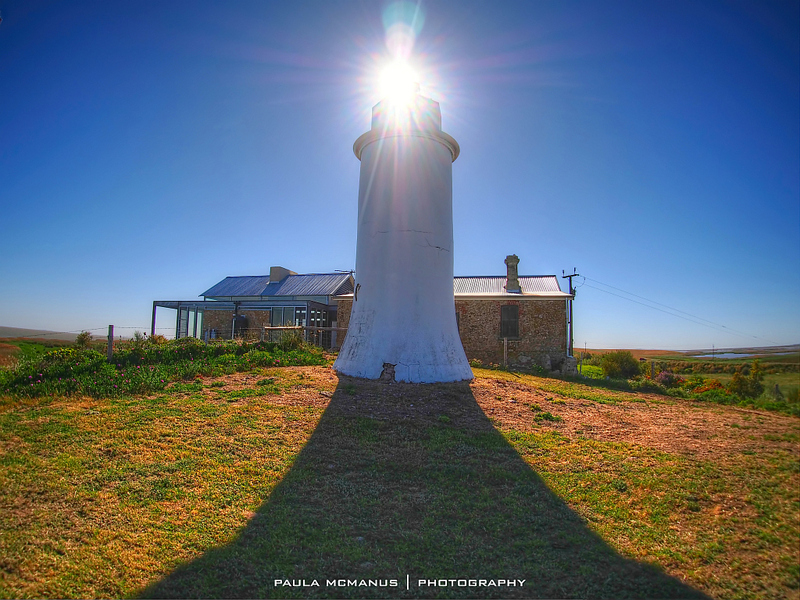 This one-of-a-kind 131-year-old structure, which at just 7 metres tall, is also Australia's smallest lighthouse. The lighthouse is situated at the entrance to a boating channel that links the Coorong townships o milang.org.au/ and Meningie. The lighthouse and the keeper's cottage were built by Richard Trenouth from Strathalbyn. He arrived in Strathalbyn in 1857 and built many beautiful buildings in the area including the majestic and much photographed St Andrew's Presbyterian Church. Trenouth named the lighthouse after Neill Malcolm who emigrated from Scotland in 1839. Malcolm started a sheep and cattle station at Narrung which he named Poltalloch Station after his family home in Argyllshire, Scotland. This historic station is still in use today and visitors can take a history tour of their property by contacting them and booking a time. Poltalloch Station and the Point Malcolm Lighthouse are both listed as significant State Heritage Places and are protected by the Heritage Places Act 1993. The Point Malcolm lighthouse opened in February 1878 and was in operation for more than 50 years. During this time the lighthouse assisted the supply boats, barges and paddle steamers in their waterway crossings to the isolated farms, homesteads and settlements in the area. 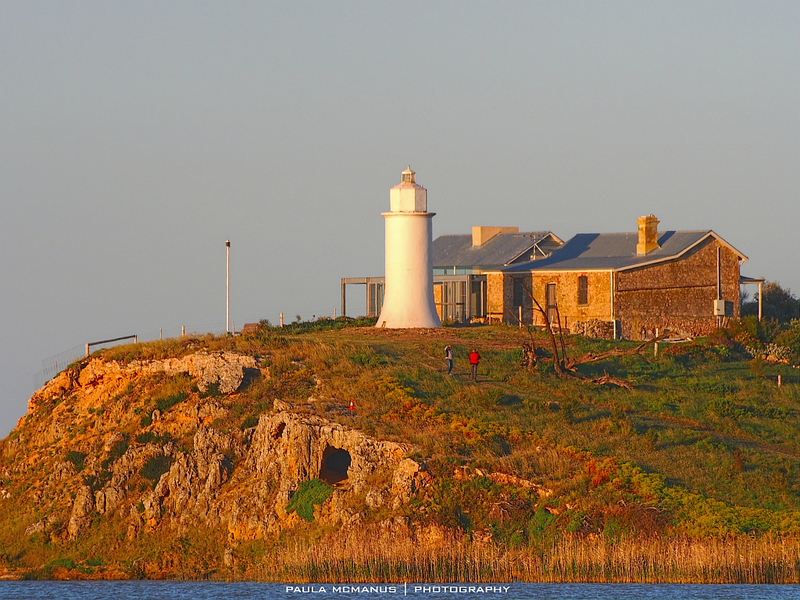 The Point Malcolm lighthouse marks the narrow passage that runs between Lakes Albert and Alexandrina, near Narrung in Coorong country. Paddle steamers were in heavy demand at the turn of the Century and were keenly relied on for the transportation of passengers, the delivery of mail and the shipment of goods. The paddle steamers Jupiter, Milang and Meningie were on the lakes several times a week each. It was a busy time for steamer travel and the ports of Milang, Narrung and Meningie were bustling and thriving towns. Lighthouse keepers lived a lonely existence and they usually became self-reliant for their supplies. One of the Point Malcolm keepers regularly sold his produce to locals but usually had to wait several days for a boat to come past to take it to town. They cleverly kept their goods cool by storing their excess in a cave near the lighthouse. They simply lowered bags of produce into a hole in the ground, which dropped directly into a cave below. It worked well as a sort of fridge - the cave kept their goods at an evenly cool temperature. The opening of a bridge for trains and cars across the Murray River at Edward's Crossing (now Murray Bridge) in 1924 and the establishment of the Narrung Ferry service in 1928 led to a reduction in boat and paddle steamer traffic and in 1931 the lighthouse was turned off. 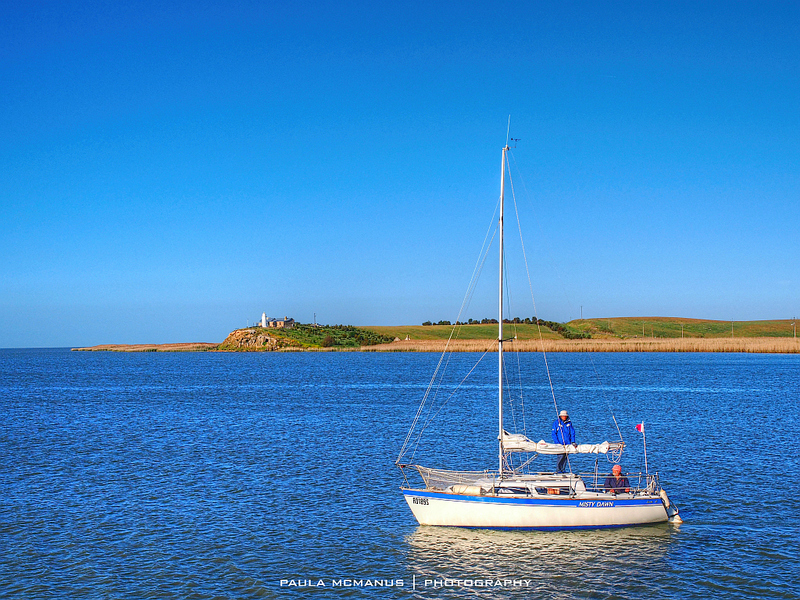 A light on a pole was installed next to the lighthouse and is still in use today as a guide for the recreational and tourist boats that use the waterways. The lighthouse has been turned on only once since 1931. In 2016, the light was turned on from dusk to midnight as part of the special 150th Birthday celebrations of the nearby town of Meningie. A special battery-operated Pharos Marine FA-250 Marine Lantern was used in this historic re-lighting. 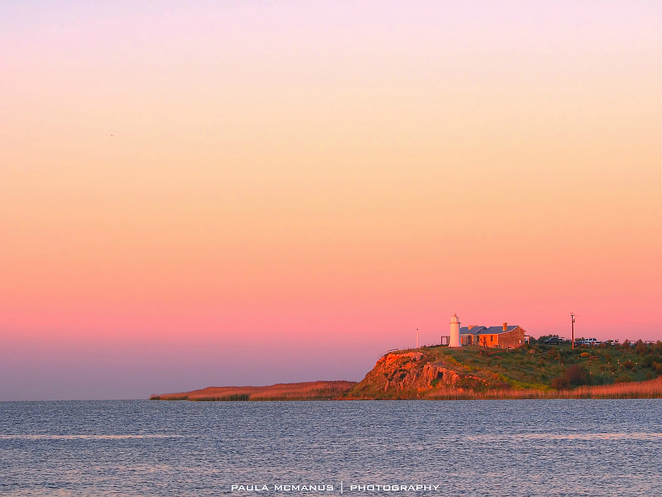 While you probably won't see the light illuminated again, you can still visit the lighthouse. It's on top of a steep bank, 25 metres above the Narrung ferry crossing and is currently under the care of the National Trust. 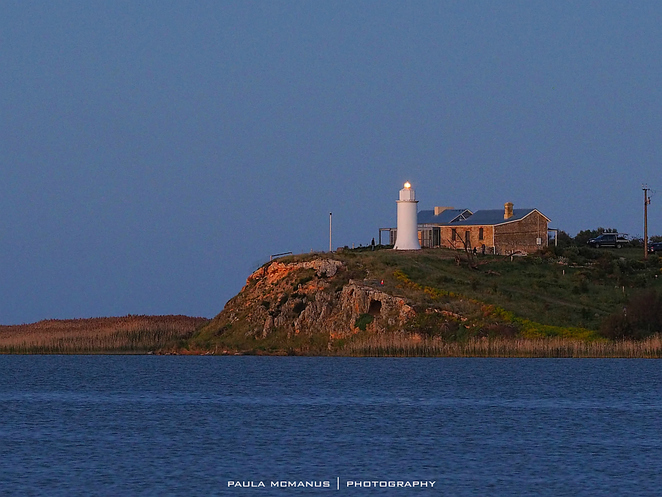 Why not take a road trip to the Coorong area one weekend and have a look at this fascinating and historic lighthouse? 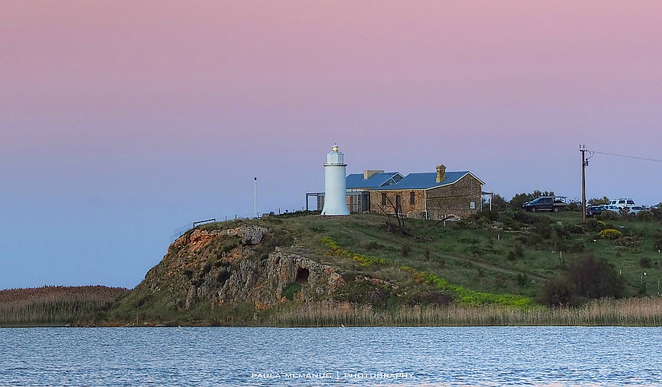 Meningie, Narrung and Milang are an easy hour and a half's drive from Adelaide and there's plenty to see and do. There's even a free campsite at Narrung if you want to stay a day or two. The free camping ground is spacious, with plenty of room for caravans and campers. There's a 72-hour maximum stay and the toilets are modern and clean. Take Poltalloch Road off the Princes Highway 31km south of Tailem Bend. To get to the camping area, you'll need to take the ferry across the waterway - the ferry is a free service and runs 24 hours a day. You can also get to Narrung from Meningie via the Narrung Road which follows the edge of Lake Albert. Why? 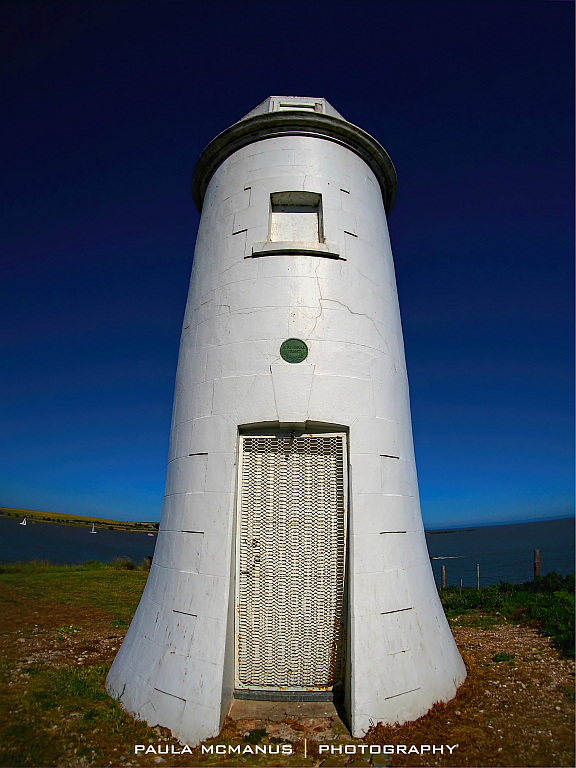 Point Malcolm Lighthouse is the southern hemisphere's only inland lighthouse. This one-of-a-kind 131-year-old structure, which stands at just 7 metres tall, is also Australia's smallest lighthouse. As always, your photos are wonderful. Superbly detailed round up and photos!